A mother from Oregon has claimed that United Airlines kicked her family off of a flight headed to Portland, because they allegedly found her autistic teenage daughter to be a disruptive passenger on the plane. Airline workers severely lack autism awareness and this incident brings that truth to the surface. Donna Beegle’s 15-year-old daughter, Juliette Beegle, was less than three years of age when she was diagnosed with autism. According to Beegle, her daughter has an exceptionally high IQ, but communicating with others is still a very difficult challenge for her. On May 5, 2015, Beegle, along with her husband, son and daughter, Juliette, boarded their plane in Houston to return back home to Portland. That evening in Houston, Juliette had refused to eat when the family went out for dinner. To prevent her daughter from getting frustrated due to a decrease in blood sugar, Beegle boarded the plane with some snacks for her daughter to eat, just in case. Once the family had settled into their seats, Beegle reportedly asked a flight attendant if there were any hot meals available on the plane. Before the flight attendant could respond, Beegle explained that her daughter refuses to eat food that is only room temperature and that there was no possible way for her to have brought her own hot food for her child inside her bag. The attendant offered Beegle a hot sandwich, but when the sandwich arrived, it was cold and Juliette would not even take a bite. As her mother asked the attendant to check out the meals that were available for purchase in first class, Juliette was reportedly getting very antsy. The first class flight attendant refused to accommodate Beegle and her daughter, even after Beegle pleaded with the attendant to help her and her daughter out with a meal that she would happily pay for. Beegle’s request was denied for the second time. When the same attendant came back around for a third time, the distressed mother told her that she had a special needs child and she needed to get her something to eat. The lack of autism awareness in the airline worker caused her to refuse Beegle’s request once again. Beegle stated that if her daughter does not eat something soon, she will start to have a meltdown, scratching and crying from built up frustration and if she could just get her daughter something to eat all that could be avoided. Finally, some rice and jambalaya was brought to Juliette and she ate it without a problem. According to Beegle, about 25 minutes later, there was an announcement made over the loudspeaker saying the plane would be making an emergency landing due to a passenger with behavioral issues. When the paramedics boarded the plane, they were confused to find Juliette quietly enjoying a movie. The paramedic reportedly began to shake his head and say that the plane had an over-reactive flight attendant on board. He claimed of having real work to do as he exited the aircraft. When police came on board and found there was no issue, they were stopped by the captain before fully exiting the aircraft. After a brief moment, the police turned back around and asked for Beegle and her family to step off the plane, because the captain felt uncomfortable flying with an autistic passenger and that she was being seen as a threat while on board. Witnesses reported that the behavior of the flight attendants was completely ridiculous and Juliette had not disturbed any of the passengers on board in the slightest. Following the incident, Beegle filed complaints with the Federal Aviation Administration and with United Airlines. Both agreed to investigate the incident. 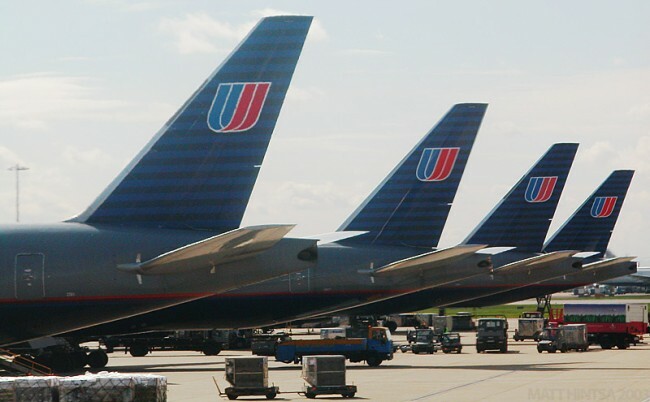 Beegle also stated that she plans on filing a lawsuit against United. The goal this mother hopes to achieve is mandatory autism training for airlines workers. Beegle said that if the flight attendants had known anything about autism, the flight would have been completely different. According to United Airlines, the crew’s decision to dismiss the Beegle family from the plane was one that was made to keep all other customers feeling safe and comfortable during their flight. The degree to which autism awareness is lacking in airline workers as well as United Airlines, has become quite evident. Jodie Smith, a passenger, who was seated a few rows down from the Beegle family, said that what happened to Beegle and her daughter who is living with autism was discrimination personified.